Minecraft: Story Mode features an admirable array of voice talent. 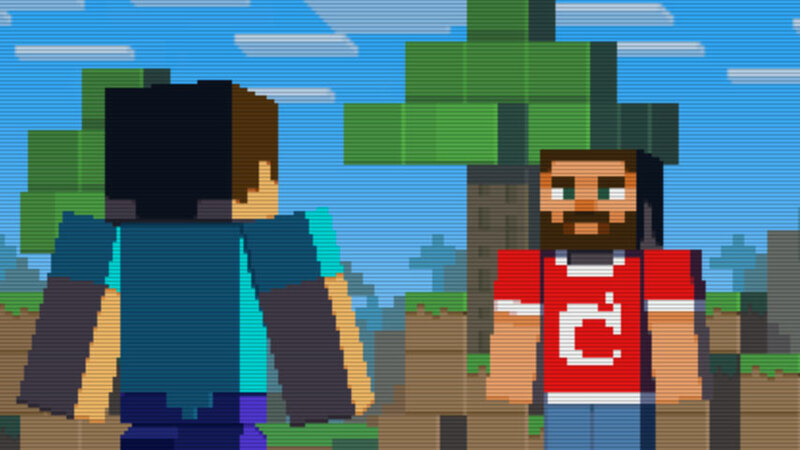 Telltale Games checked in with fans at MineCon this weekend to share first details of Minecraft: Story Mode. The episodic adventure, which hits Android, iOS, Mac, PC, PlayStation 3, PS4, Xbox 360 and Xbox One later this year, has attracted a number of big names. Protagonist Jesse is played by Patton Oswalt, who is joined by Brian Posehn, Ashley Johnson, Scott Porter, Martha Plimpton, Dave Fennoy, Corey Feldman, Paul Reubens and Billy West. The game’s story involves a group of adventurers (Warrior, Redstone Engineer, Griefer and Architect) who are celebrating their defeat of an Ender Dragon when something goes horribly wrong. To save the world, they must track down The Order of the Stone.